formlos per Email auf unserer Kontaktseite. Ein aufstrebendes, innovatives und digitales Unternehmen mit der Möglichkeit, proaktiv und „hands on“ neue Themen zu schaffen. Dann sende uns einfach unkompliziert eine Email mit deiner Anfrage. Wir freuen uns auf dich. 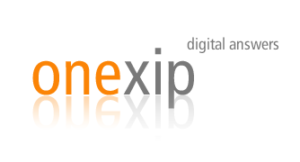 onexip is looking for passionate working students to help it’s team move it’s products to the next step of innovation. You will be working on all levels of our brand new and highly innovate products and solutions. The Java Ecosystem’s most interesting and upcoming technologies belong to of our daily business. But, our ideas are piling up – we need Your help! Feel free to contact us by Email for more informations.